David&Goliath is out with a new campaign for the California Lottery that compares winning the lottery to believing in -- let's be honest -- far more important things like women's rights, landing on the moon and continuing to surf after a shark has bitten off your arm. While one may very well wish to believe they will win the lottery and, hence, play it all the time, is it fair to compare that belief to important cultural events and personal achievement? 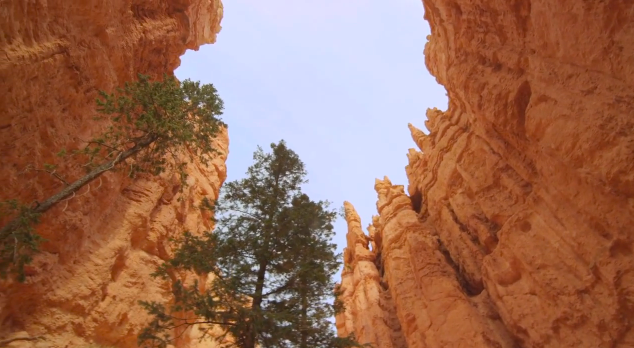 The Utah Office of Tourism has launched a new campaign, created by Struck, that highlights the state's five national parks: Zion, Bryce Canyon, Capitol Reef, Canyonlands and Arches. The new campaign, which breaks today and includes broadcast, print, outdoor and digital, hopes to establish the Utah National Park circuit as a can't-miss adventure and offers visitors the tools they need to plan their own Mighty Five adventure. An online planning site helps create custom Mighty Five itineraries from 3-10 days in length. Following the talking Falafel, Orbit Gum is out with two new talking food ads. In the first, a giant helping of meat and potatoes sticks around as annoyingly witty seat mates after the inflight meal has be cleared. In another, a giant serving of talking nachos disrupts a polo match by taunting one bow tie wearing attendee. Following each kooky scenario, our Orbit Girl, the very delicious Farris Patton, appears to tell us, "Don't let food hang around. Clean it up with sugar-free Orbit. Fabulous!" The ads, created by Energy BBDO, are humorously creepy. We can't wait to see the talking bowl of chili. StrawberryFrog India has crafted the "Ask" movement for the e2o - an electric car by India's leading auto company, Mahindra. The movement was launched on Monday with a digital film and social media campaign. It portrays 'asking questions' as a way of ushering in a better future. "Ask" resonates with India's increasingly bold, assertive and demanding youth. It reflects Mahindra's commitment to ask tough questions and enable higher standards. 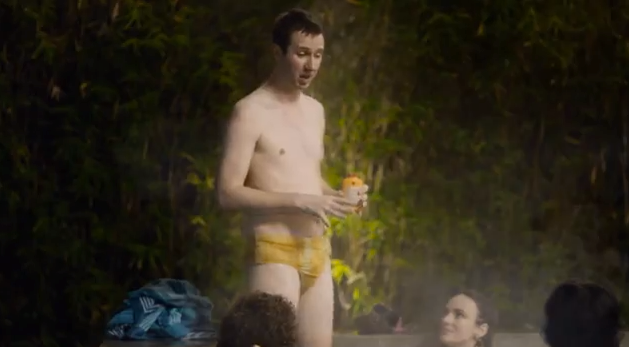 Apart from the fact a Speedo just isn't built to properly support or contain a real man, wearing one in a hottub full of bikini-clad babes and acting like your dad is, well, just not a good way to roll. That scenario, along with two others, is the latest effort from Mentos and tells guys, "Don't Become Your Dad." So yea, don't snap your Speedo and slap baby powder on yourself when leaving the huttub, don't refuse a ride with two hot chicks and don't ever be that idiot who exclaims in the middle of a quiet library, "how about a phone that just makes phone calls?" Yea, Don't become your Dad. Ladies, ever look forward to a wonderful getaway with your man so the two of you can spend some alone time together? Ever wonder why your best laid plans to create such a scenario often times fail? Look no further than this latest Carlton campaign created by Clemenger. No, really, it really is a coincidence! 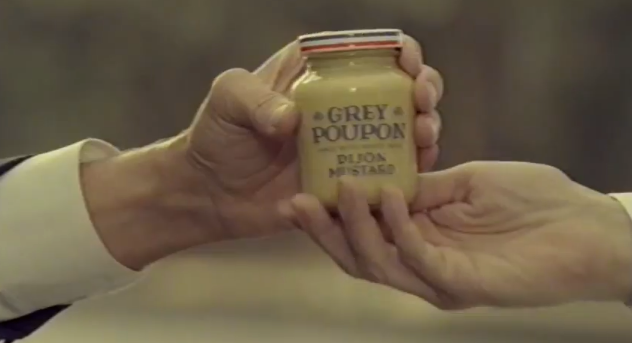 Thirty-two years after the original spot aired, Grey Poupon Mustard is bringing back the iconic "Pardon Me" campaign. A new TV spot, which will air during The Oscars, picks up right where the original 1981 commercial left off, showing what happened after the Grey Poupon was shared with the other distinguished gentleman. The :30, titled The Chase, was created by CP+B and features a collection of craziness including a car chases, flying champagne corks and caviar car slicks, which ensue after the Grey Poupon jar is shared. The spot itself is a teaser for an extended version which will be available online at GreyPoupon.com following the teaser's premiere during The Oscars. Bugles Are Back And They're More Fun Than Ever! Remember Bugles? Bugles is that weird, odd shaped snack from General Mills that's been around since 1966. The snack you used to stick on your fingers like a thimble or nails. Toronto-based Cossette created a campaign to revitalize the nostalgic brand and make it fun and top of mind again. Playing off this insight it was a novelty snack for many kids, the concept was to advertise Bugles as a game, rather than a snack. And so the snack has become The Game That You Can Eat! 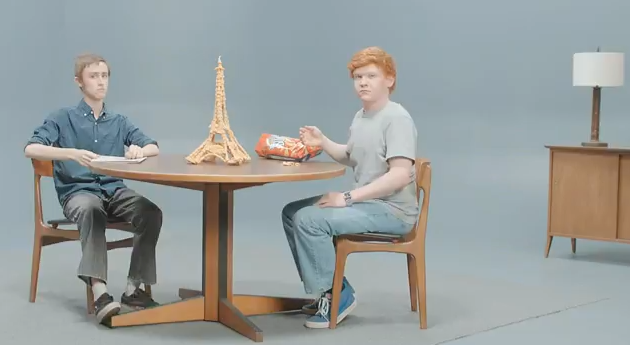 Six quirky web videos take a look at the snack and just how much fin it can be. Peanut Butter & Co. is airing a series of three TV commercials, its first ever national ad campaign, that encourage consumers to go beyond smooth and crunchy and step into the exciting world of flavored peanut butter with Dark Chocolate Dreams, White Chocolate Wonderful and Cinnamon Raisin Swirl. The 15-second spots will air nationally on Cooking Channel and in select markets on a variety of cable networks such as ABC Family, Food Network, E!, and TLC.